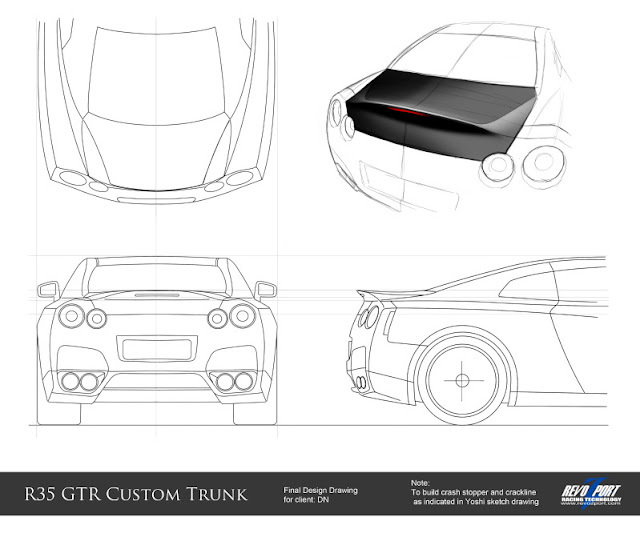 RevoZport is working on a R35 GT-R trunk with a duckbill spoiler that is designed for low drag and high downforce. The trunk was designed in conjunction with Yoshi Suzuka one of the aerodynamic engineers on the Nissan GT-R. Head over to NAGTROC to get in on the group buy of this great looking trunk. *The trunk is uniquely designed with a low drag but high downforce focus. *Built with a crash stopper on the underside for safety purpose. *You can specify the trunk to be made in Dry Carbon Matte finish but there's an extra service charge.